You don't need to know his number. A name bar isn't necessary either. Even if you've never seen Brandon Hickey play hockey before, picking out the Flames defence prospect on the ice is easy. Just look for the guy with the big smile. "I believe if you're coming to the rink and you're not having fun, you shouldn't be at the rink," says Hickey, the native of Leduc, Alberta. Good skater, smart hockey sense, assertive defensively, smooth passer. There are a lot of attributes that stand out with Hickey. But for me, one of the qualities most noticeable at Flames development camp in early July was just how much he genuinely enjoys being on the ice. "If you can joke around a little bit and smile as you're skating around, it makes it a little bit easier," he says. In one particular drill, they were practicing stick positioning and then rubbing guys out along the sideboards. In Hickey's group were Hunter Smith, Keegan Kanzig, Austin Caroll and Patrick Sieloff. All solidly built dudes that spend more time around the barbecue than the salad bar. Yet Hickey, 6-foot-2 but only 180 pounds, was right in there, laying the hits, absorbing the hits and having a fun time with it. "As you advance in levels of hockey, everyone's going to all of a sudden be a little bit bigger, a little bit stronger. a little bit faster. I think the college game has helped me prepare for this," says Hickey. When discussing Calgary's top defence prospects, you can't have the conversation without mentioning Hickey. It was only 15 months ago that he was selected in the third round, 64th overall, in the 2014 NHL Draft. Already you get the sense he might turn out to be a steal. The 19-year-old just completed his first year of NCAA hockey at Boston University where as a teammate of Jack Eichel, he played an integral role in helping the Terriers reach the NCAA championship game, which they lost 2-1 to Providence College. "As the season progressed and I started to make strides in my game, I saw coach (David) Quinn and coach (Steve) Greeley have a lot of confidence in me," says Hickey, who was 6-11-17 in 41 games. Having the impact he had and getting the ice time he logged as a freshman is pretty rare when you're at a top college like B.U. "I wasn't really expecting to play that much but pleasantly surprised I guess," Hickey says. Before he gets to his sophomore year, however, Hickey will be attending Hockey Canada's World Junior orientation camp at WinSport starting on Saturday. The camp runs August 1-6 and also includes four exhibition games -- two each against the Czechs and the Russians. 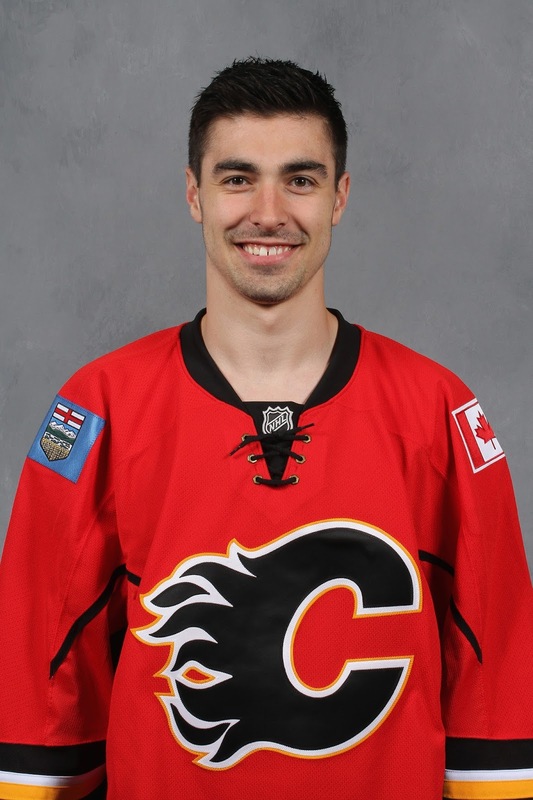 Maybe it's because he's such an easy-going, friendly and engaging guy -- look out Craig Conroy and Joe Colborne -- but there's one thing you should know about Hickey, he's not afraid to call back strangers who leave him vague messages. For example, let's go back six weeks to June 22. There he is on B.U. campus, just emerging from finance class when he checks his phone and sees that he had a missed call. He notices there's also a text message from a phone number he doesn't recognize that simply says, "Call me ASAP." No name. Nothing. He promptly dials up the mystery caller and answering the phone at the other end is Ryan Jankowski, Hockey Canada Director of Player Personnel. "He's like, 'Brandon, how's it going? I just wanted to let you know you're invited to Team Canada's summer camp and I was like, 'Sweet,'" recalls Hickey. "It's pretty special. You always dream about getting that invite as a little kid so just being able to go to the camp is pretty cool." Of the 13 defencemen attending the camp, Hickey is one of only two that are not playing major junior in Canada. While that means he won't be playing right under the microscope of Hockey Canada's key decision-makers, he's not worried as they found him last year, no problem. "I hoped I was on their radar but you never really know until they reach out and contact you. Hockey Canada does all the research, they watch a lot of players. So I was pretty pumped to get that phone call," Hickey says. He says he'll know some of the guys he'll be going head-to-head with. "I grew up with Haydn Fleury so I know him really well. I think it's pretty cool that we're both going to the same camp as we both played in Leduc. I've also played with Joe Hicketts before," says Hickey. "I've played with a lot of the guys on the team or played against them so it will be pretty cool to see them at camp now." Make no mistake, heading over to Finland to play for his country this Christmas would be pretty special. Hickey says that event was always ritual viewing for him, his parents and his younger brother. "Every Christmas, we would always sit down and watch every single game. It's pretty huge in our household," he says. "I remember that one game against the Russians where Jordan Eberle tied it up late and then they won it in a shootout. I remember just sitting on the couch with dad, my brother and my dad's good buddy. It was feeling like 'oh, they're going to lose' and then all-of-a-sudden they tied it up and then they won it. That was pretty surreal." To ensure he got himself ready for the U20 camp, Hickey wasn't going to let a little family vacation to Penticton get in the way of his conditioning and preparation. "When I'm in B.C., I'll be working out and running hills and stuff. I don't want to get out of shape. It's like a vacation where I'll be somewhere warm, working out, but then I get to relax afterwards too," said Hickey back in early July. "Right down by the cabin we always rent, there's a big, big hill so I'll sprint up it a few times a day. I'll bring a net, some sticks, some pucks, and get some shooting in while I'm down there." Who knows what the future holds for Hickey, who after a year of taking General Studies courses will turn his focus to Business in his second year of university. A legitimate question is whether he will make it past the halfway point in his schooling. If he keeps progressing like he did in year one, there could very well be a temptation to leave school a couple years early and turn pro. Hickey says he has no master plan in mind for his career path at this point and that he is just going to take it as it comes. "I'm just going to go into this year and do everything I can to have an even better season than last year and progress the same way as from the start of my freshman year to the end of my freshman year," says Hickey. "I'm just taking it all in stride. I don't want to plan too far ahead but you always have to be prepared for anything." Meanwhile, he'll continue to keep a close eye on the Flames, just like he did last year. "I checked on them quite a bit," says Hickey. "I wanted to see how they were progressing, how the season was going with all the rookies." He says he can definitely see himself fitting into the Flames mould for what what they want in a defenceman. "They led the NHL in blocked shots last year and that style of game really suits me -- defend hard, skate fast and block shots," says Hickey, who led all Hockey East players over the course of the 22-game conference schedule with 49 blocked shots. He says the dynamic way the Flames defence are constantly transitioning up the ice and then back again is also in line with how he likes to play. "That's a great fit as well. They're always pushing their defencemen to get up into the rush," says Hickey. "We watched some video on how the defence plays a 2-on-1 against and then right away is ready to get back into the rush. That really suits my game also." Defence depth was a well-documented area of weakness for the Flames not that long ago. But after a big trade, a couple signings, a productive draft and with the steady improvement from young prospects like Hickey, a cloudy future has quickly turned into bright blue skies. And when Hickey arrives in town two, three, four years down the road, you sure get the sense he is going to be one of those rays of sunshine, who will be a fan favourite. Oliver Kylington is coming to North America. That was the big news of the day on Wednesday as reports out of Sweden surfaced saying AIK in Sweden's second division, would allow the Flames second round pick to play hockey this upcoming season in North America. AIK's permission was required because Kylington has a contract with them and because he was not a first round pick. The agreement the NHL has with Swedish hockey is first round picks can be kept by an NHL team without requiring permission but all others must be first offered back to their Swedish club team. Assuming he doesn't make the Flames line-up this year, now the decision Calgary's management team needs to make is which of two destinations is best for the young man in 2015-16. In one corner, you have the Brandon Wheat Kings, who own his major junior rights after drafting Kylington 60th in the CHL Import Draft this summer. In the other corner you have the Stockton Heat, the new home of the Flames AHL affiliate. In a variation of my normal Eight from 80 Feet, this time my eight thoughts are split in half and I look at the pros and cons of the AHL versus the WHL in the format of point, counter-point. According to Quanthockey.com, only four defencemen in the last 22 years have played in the AHL at age 18. To be clear, I'm not talking about those five, seven, nine-game stints players get into at the end of their major junior season. I'm talking about full seasons. While that's not very many -- and a big reason why it's so low is the CHL-NHL transfer agreement does not permit players from major junior to be assigned to the AHL until they are age 20 -- the good news is half of them became very good NHL players. Hampus Lindholm, sixth overall pick by Anaheim in 2012 and Slava Voynov, second round pick (32nd overall) by Los Angeles in 2008, both came to North America right after being drafted and opened their pro career in the AHL long before their 19th birthday. Lindholm, who many experts thought was maybe a reach by the Ducks at the spot they drafted him, is not turning out that way. He needed just one season at Norfolk before he cracked the Anaheim blue-line at age 19 and last year as a 20-year-old, Flames fans saw up close in the playoffs the type of talent and bright future this player has. Voynov has obviously been in the news for all the wrong reasons lately but if you look past his problems off the ice, he had developed into a real nice top four player for Los Angeles and he was a key member of the Kings Stanley Cup-winning team in 2014. Voynov's development in the minors took longer than for Lindholm as he played three full seasons with Manchester before he eventually cracked the NHL line-up, but it doesn't change the fact that starting out at age 18 in the AHL did not have a negative impact. The yin to the yang that was Lindholm and Voynov are Victor Uchevatov and Yan Golubovsky, who are the lesser known other two 18-year-olds to play in the AHL over the last 22 years. Interestingly, the split with these two guys in terms of draft pedigree was the same as above with one first round pick in Golubovsky (23rd overall by Detroit in 1994) and one second round pick in Uchevatov (60th by New Jersey in 2001). Many were surprised in 2001 when Uchevatov turned pro and was assigned to Albany in the American Hockey League. Most expected him to return to Russia for another season. He was two years younger than the next-youngest player on the team and three years younger than the next youngest defenceman. That rookie season he went 0-2-2 and minus-16 in 64 games. He played all of the next season in Albany as well and near the end of his third season, he was dealt to Florida as part of the package for Viktor Kozlov. He played the rest of that season and the next year with the Panthers AHL affiliate in San Antonio before disappearing off the NHL radar. He never did play a NHL game. We know the Red Wings have a reputation of patience with young players but Golubovsky played five seasons with Adirondack in the AHL (285 games) before finally making the jump to the NHL with Detroit. But he didn't play much and was eventually dealt to Florida in exchange for Igor Larionov. Golubovsky went back to Russia a couple years later and never returned to North America. He finished with one goal in 56 NHL games. You never know with prospects and every case is unique but these are two examples where starting off in the AHL did not pan out as desired. A lot of long-term good could come from Kylington learning the Calgary system right from day one. Being groomed in Stockton would allow the Flames to keep a close eye on him and focus on the areas of his game that need the most work. Kylington would learn a lot from assistant coach Todd Gill, who played in over 1,000 NHL games. Flames skills coach Domenic Pittis has also joined the Heat staff this year as an assistant coach so some quality instruction would come from him too. If you're in the minors with Calgary, make no mistake, the priority is on development. Results is a nice extra but the No. 1 goal is preparing players for the NHL. It's why general manager Brad Treliving demanded to have a reduced schedule (68 games versus 76) in order to re-locate Calgary's AHL operations to California. Being based on the West Coast in a league that is predominantly on the East Coast, they wanted to ensure they spend more time practicing and less time travelling. Kelly McCrimmon, who turns 55 in October, joined the Wheat Kings organization in 1988 and is the team's Governor, General Manager and Head Coach. He is a legend, not just around Brandon or the WHL, but in all of Canada. 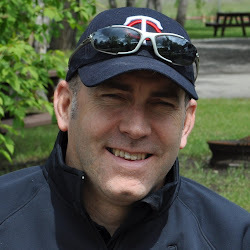 Under his leadership, the Wheat Kings have made the playoffs in 19 of the last 20 seasons. That includes winning nine Eastern Division pennants including six in the last 11 years. They've won five Eastern Conference Championships, made five WHL final appearances and three times have gone to the Memorial Cup. Recent alumni in the NHL include Micheal Ferland, Mark Stone and Brayden Schenn and a bunch more appear to be on the way. McCrimmon is so highly respected that he was sought after this summer by the Toronto Maple Leafs for a management position. However, he decided to stay pat in Brandon. There are plenty of organizations in junior hockey that would make the decision to go the AHL route with Kylington very easy. Brandon, however, is not one of them. They have a very good reputation and Treliving must have been ecstatic when he heard it was Brandon that took Kylington in the CHL Import Draft. Kylington has played parts of the past two seasons playing against men in Sweden. His totals break down to 4-7-11 in 50 games with Farjestads in the main Swedish Hockey League and 4-3-7 in 17 games with AIK, which plays in the Allsvenskan league, which is Sweden's second tier. That's 67 games total or the equivalent of one full season of pro hockey in North America. There is certainly some merit to building off of that by having him play in the AHL, which would be along the lines of the Allsvenskan, and would put him in a position to play against older and stronger players. There are a lot of very good forwards in the AHL that are on the verge of the NHL and defending them on a nightly basis -- as well as matching up against the likes of Emile Poirier, Markus Granlund and big Austin Carroll in practice too -- would be a stiff challenge. For those of you not familiar with how the divisions work in Sweden, it's difficult to compare the Allsvenskan to the AHL as it's fundamentally different. For your background, it is not a feeder league made up of all the players not good enough to play in the Swedish Hockey League like the AHL is to the NHL. Instead, it's made up of teams that aren't good enough or have been relegated out of the Swedish Hockey League. Think of it this way. If the NHL was set up the same way and had two divisions, a 10-team second division based on 2014-15 standings would be made up of Colorado, San Jose, Columbus, Philadelphia, New Jersey, Carolina, Toronto, Edmonton, Arizona and Buffalo. So on average, the teams are not as good, but they're still pro teams playing in pro buildings and there are plenty of top players you're up against on each of those teams. For example, when the Coyotes drafted Oliver Ekman-Larsson sixth overall in 2009, he had been playing for Leksands in the Allsvenskan. He also then returned there for one more season. 6. Pro WHL - What's the Rush? Kylington has been fast tracked much of his early hockey career. It's a trend that has continued into pro hockey when just over four months past his 16th birthday, he made his debut for Farjestads in the Swedish Hockey League. He even scored a goal in that first game making him the youngest player to score in league history. By why continue to push him unncessarily? When I talked with Treliving two weeks ago when Kylington signed, he made some interesting comments that are fair points when it comes to handling a young man, who may be really skilled on the ice but is still a young man off it. "When you're 16 and playing against men, at some point you have to let the person breathe. You like to get him around his peer group," said Treliving. "You don't want to always be over-reaching. Like you're hanging onto a cliff just to stay in a league with players that are five or 10 years older than you." Treliving compared Kylington's hockey career so far to a 15-year-old, who is granted exceptional player status and enters junior hockey early. "As soon as you play ahead of your weight class, there are all these expectations placed on you," said Treliving. "You still have to let the person grow and develop and mature." Because they could and not necessarily because they should have, former GM Jay Feaster assigned Patrick Sieloff to the AHL at age 19 when a second season in the OHL seems like it would have been the smarter move. With a year of WHL eligibility left, Micheal Ferland was sent to the AHL at age 20. Turns out he wasn't ready for that jump and he eventually found his way back to the WHL. Instead of rushing prospects and then changing course or dealing with the aftermath should they fail, why not be cautious and let them thrive at a level before you promote them. Keep developing them and keep their trajectory pointed upwards. An advantage to having Kylington in the AHL is he becomes a call-up option for the Flames at any point this season. It's not to say that he would necessarily be a candidate to get called up in November but should he have a great first half of the season and start looking very comfortable in the AHL, perhaps he becomes the top call-up candidate eventually making him an option for promotion should Calgary lose a handful of defencemen to injured reserve in February or March like we saw last year. Also, depending on how Stockton's season goes, Kylington would be called up to Calgary to be a black ace at season's end should Calgary make the playoffs and see its season extend longer than Stockton. That experience of being around the big club during the playoffs, as players that were a part of the group last year will attest, is never one to be discounted. On the flip side, if Kylington is in the WHL, he's locked into remaining there until the Wheat Kings season is over and as mentioned, that may not be until the Memorial Cup concludes on May 29. The 2016 Memorial Cup will be held just up the highway in Red Deer and with Philadelphia seventh overall pick Ivan Provorov and Kylington anchoring the blue-line, you'd have to like Brandon's chances of being one of the four teams participating. 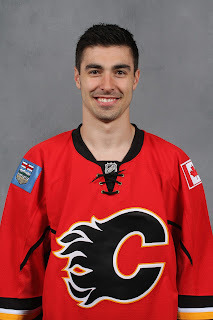 Among the 18 players expected to return for another season are C Jayce Hawryluk (2nd round by Florida in 2014) and C John Quenneville (1st round by New Jersey in 2014) and I wouldn't completely rule out LW Morgan Klimchuk (1st round by Calgary in 2013) either. The Wheat Kings have never won a Memorial Cup but this season could be their year. They're coming off a season in which they posted the league's best record at 53-11-4 and went to the final before losing to Kelowna. Joining this juggernaut team would put Kylington in a position to be a star player relied upon to play a big role, log big minutes and shoulder big responsibility. Comparably, his role would be far different in Stockton with Ryan Culkin, Jakub Nakladal, Tyler Wotherspoon and Kenney Morrison all seeking top four minutes, never mind the presence of guys like Patrick Sieloff and and Brett Kulak as well. Provorov, selected 53 picks higher, would be a nice measuring stick too. The two can push each other, while also feeding off each other. It also gives Kylington a high-end future NHLer to work with where together, they can take their game to the next level. Two big factors that don't enter the decision-making process because they apply the same in either landing spot is how Kylington's entry level contract works and his eligibility for the World Juniors. If Kylington goes to the AHL, even though he would make $70,000 per his entry level contract (which is the maximum minor league salary allowed under the CBA on an ELC), that three-year deal still slides if he plays less than 10 NHL games. Just like for a junior player, it can slide as many as two times as long as that 10 NHL games threshold isn't reached. So technically, he could play five pro seasons on his three-year entry level contract. Interestingly, Rasmus Andersson, Calgary's other second round pick in 2015, was invited to Sweden's World Junior orientation camp this summer while Kylington was not. I'm not clear on why not and whether there is some behind-the-scenes political stuff at play here. Nonetheless, should he become a candidate for that team, he is eligible to leave the AHL to join Team Sweden in the same way he would be able to leave Brandon for the event, which is in Finland this year. I am very confident in saying that if Kylington had a choice of where to play -- if it can't be Calgary -- it would be Stockton, for sure. He's been a pro already in his career, he's played for money. Once that happens and you shift into that mode as a player, it would be hard to go back and lose that paycheck you've become used to. Additionally, Kylington has a thing for Los Angeles as it sounds like he's got some friends or family there and he's spent time there in the past (it was where he hung out between the draft and Flames development camp). Stockton may be a five-hour drive away but a flight from San Jose to L.A. is just over an hour. Another thing to consider. After playing most of the last two seasons with older players, his appetite to be sharing the ice with lots of 16 and 17-year-olds again may not be very high. In that sense, he could view an assignment to Brandon as a demotion. We probably won't know for sure until late September once we get deep into training camp. Personally, I'd assign him to Brandon for one season and have him turn pro next year but I can see the arguments on both sides and it's far from a slam dunk decision, more 60-40. We'll learn in a couple months which way Treliving is leaning although what he ends up deciding then may not be what he's thinking now and I reserve the right to change my mind too. After all, that's why they hold a training camp. Seeing how Kylington fares in some NHL exhibition games could go a long way to determining what the best fit is come October. Here we go with the first StickTAP of the off-season. I experimented with this mailbag-like content feature last summer but my attempt to answer each reader question with a Thought, Analysis and Prediction proved too time-consuming. So, this time around, each response will be in the form of one of them, not all of them. That said, when I put out the call for questions on Saturday, I received approximately 60 so compiling this 2015 debut hasn't been any less time consuming! A couple notes before we begin. Firstly, thanks for the engagement. Secondly, a disclaimer. Unfortunately I will not be able to get to all the questions today but I've answered a bunch. If I didn't get to yours, my apologies. Time permitting, I'll try to do a part two later on. Also, there were some recurring themes in which many similar questions were asked. So some of you may not see your exact question below, but you may see one similar to it. Hopefully the answer provided answers your question too. @DarrenWHaynes hey Darren. Right now this is definitively Gio's team. Who is heir apparent? Monahan, JG, Bennett, Brodie? What makes Mark Giordano such an effective captain is he is not only an excellent leader off the ice, but he is the team's best player on the ice. That's a powerful combination. I think too often the team's best player is made the captain when they may not have what it takes away from the ice, which is a big component of it. It's no different than a mistake many companies make in taking the top sales person and making him or her the sales manager. Some people may be good at selling, but are not good at managing people. It's just not their forte. My guess is Sam Bennett will be Giordano's eventual successor. We've already started to see Bennett exposed to leadership scenarios such as coming to development camp and being expected to take charge as the veteran in terms of NHL experience. Included was him heading up the group when they all went to the Stampede one night, an evening that included Bennett being the spokesman up on stage before the Chuckwagons. We're still just getting to know Bennett but my impression in the first 14 months is he is very comfortable in front of the media, he has a swagger to him, an intensity, and he seems to be well-liked off the ice. Combine that with his skill set on the ice and he would be my prediction as the next-in-line for the 'C' assuming that's several years away still. @DarrenWHaynes Why was Andersson ranked higher than Kylington? O.K. seems to have all the hype, yet we passed on him at 53. There has been a lot of hype around Oliver Kylington and that's for a few reasons. For one, it's because he was once considered as high as a top five pick yet fell to 60. Speculation about why is an intriguing story in itself (and one I documented recently right here). Secondly, he truly is a very gifted skater so that NHL-ready element to his game has also attracted a lot of attention. However, the Flames are very high on Rasmus Andersson and did have him ranked above Kylington on their list and also had him "much higher" than where they drafted him. What they like about Andersson is he fits what they want in a defenceman in that he's a dynamic player, good skater, jumps up in the rush, is a good puck distributor and has a hard shot. @DarrenWHaynes who stirs the drink on the first line? Will Johnny and Mony take a step back when/if Hudler is traded? Last year, I would suggest it was Jiri Hudler who "stirred the drink" on the top line. He had a real mentor-like relationship with those guys on and off the ice, especially Johnny Gaudreau. However, last year Sean Monahan was still only 20 years old and Gaudreau, 21, was a NHL rookie. Meanwhile, Hudler was 30. As Monahan and Gaudreau get older and mature, they will take on a larger role and of the two of them, I'd suggest Gaudreau is always going to be the guy that makes his line click, whoever his linemates are. What was unique about that trio last year was that they were an actual line. Finding chemistry like that for an entire line is not all that common any more. Often in today's NHL, teams have winger-centre pairings that stick together but not often is it a full line that remains intact for so long. In that regard, if Hudler is traded this summer, it would be a temporary step back but Monahan and Gaudreau are both too good of players for that to last too long and should they stay together, they'd make it work with whomever ends up playing right wing. @DarrenWHaynes any chance the Flames buy somebody out? I don't think they will although if you held a gun to my head and demanded me to say one name as most likely, it would be Mason Raymond. Raymond did not have a great season last year. He admitted that much. He bumped around various lines and also took some turns as a healthy scratch. It's not clear where he fits into this year's roster either. If he doesn't fit into the current mix, the better route is retaining some salary if you need to and trying to trade him. If you can retain $1 million and deal him, then you're only on the books for that $1 million for two seasons. If you buy him out, you do reduce your cap hit for the next two seasons but as part of how the buyout process works, you'll be stuck with a $1 million cap hit penalty for the two years beyond that and that type of wasted precious cap space for 2017-18 and 2018-19 would be a real concern. It's no sure thing Lance Bouma scores 16 goals in any of the next three years and if I was a betting man, I would say he doesn't. However, that would not make his three-year contract a mistake as he is on this team for more reasons than just goal production. One of the perspectives I shared in this Bouma piece the other day is that players that scored 15 or 16 goals last year in the NHL (who are no longer on their entry-level contracts), will make an average salary of over $4.3 million this season, which is nearly twice what Bouma is making. In short, although they'd love it if he did, he's not being paid with the expectation that he puts up 16 goals again each of the next three seasons. I think Bouma has an excellent shot and has some 'sneaky good' offensive abilities for a guy in his role. Plus he continues to work at that side of his game in the off-season with shooting and skills coach Tim Turk. I think he will settle in at around 10 goals although if he gets 12 or 13, that would not surprise me. It's just going to be awfully difficult to repeat 16 again considering the team's improved forward depth. Bouma's shooting percentage of 15.4 will also inevitably regress at least a little bit. @DarrenWHaynes #StickTAP prediction for Sam Bennett's rookie season? At this time, I see him spending time on a line with Mikael Backlund and Michael Frolik and that will come with some defensive responsibility. As a result, I see him having a better year points-wise than Monahan but not as good as Gaudreau. Put him down for 22 goals and 30 assists for 52 points. @DarrenWHaynes what do you make of the goalie situation going forward. Ramo? Hiller? Ortio? I'm certain either Jonas Hiller or Karri Ramo will get traded in the next couple months and Joni Ortio will get an extended chance to prove himself at the NHL level this season. Given his age (24), his strong play in both the AHL last year and in the NHL in his two-week stint in January when he won four straight starts on the road, there's too much invested in Ortio in terms of development time to risk exposing him on waivers to try and demote him to Stockton. Heck, if they can't find any interest in either Ramo or Hiller, I could even see the Flames assigning one of them to Stockton and potentially losing them on waivers for nothing before they risk losing a young asset like Ortio. Carrying on the goaltender conversation. Trade values are going to be pretty similar. Both will be a UFA at the end of the season so they're essentially one-year rentals. While Hiller (.918) had a better save percentage than Ramo (.912), it was the by-product of having fewer blow-up games. Over the course of the season, Ramo's performances were more volatile -- his best games were better but his worse games were worse. I dug into this a couple months back and if you trim away something like the worst 15% of their starts for the season, their save percentages become identical. While I think Calgary would prefer to keep Ramo and trade Hiller, perhaps the Flames approach will be to trade the goalie they get the most calls about and/or the one that gets them the best return. If you look at it that way, I think that could be Ramo. He's younger so a team that trades for him is more likely to potentially want to extend him, plus he's got a higher upside if you put stock in the 'his good games are better' theory. His lower price tag compared to Hiller would be an additional attraction. As for destinations, it's difficult to say right now as Calgary may be waiting and hoping for a goalie need to emerge. Perhaps a starter gets injured, or a potential contending team like the Penguins, the Rangers or the Bruins decide they're not comfortable enough with their current back-up goalie situation. The other factor though is teams tight to the cap would have a hard time absorbing either Ramo or Hiller and that's where Calgary has potentially painted themselves into a corner. As for value, if the Flames retain salary and a market for goaltenders develops, a second round pick is possible. However, a third round pick is more likely and it could even be lower if they get in a situation where they're just looking to unload one. @DarrenWHaynes what roster spots do you see opening up for new faces in the Flames lineup? For me, the obvious spot is at goalie. As mentioned above, I see Ortio getting a full season to show what he can do. The other area where you could see a fresh face is on the blue-line. When we spoke at the conclusion of development camp, Brad Treliving was very excited about Czech blue-liner Jakub Nakladal, who came to Calgary for development camp. Treliving said he was impressed by his attitude, his fitness, the poise he showed on the ice, and his whole approach to the week. At age 27, Nakladal was brought to town mostly to get acclimatized to the city, meet the coaching staff and management team, etc. as he had never been to North America before. The intention was to have him go on the ice maybe once or twice if he wanted. Instead, he came in and insisted on skating at all three skills development sessions and going through the full week's program with the other prospects. He's on a two-way deal so it would make sense for him to start off in Stockton to adjust to the smaller rink and North American game but now I'm wondering if he doesn't stay up, or at least get recalled fairly quickly. At forward, I don't expect there to be any room at the inn other than for guys like Bennett and Micheal Ferland and maybe Drew Shore. They weren't in Calgary most of last season but not sure the "new" label applies to any of them either. @DarrenWHaynes do you think Gaudreau has a good chance to be top 5 in points some day? He definitely has a chance. Gaudreau finished in the top 30 with his 64 points as a rookie and if he had scored at the same rate over those first six games (when he had no points and missed one game as a healthy scratch) as he did over the rest of the season, he would have finished close to the top 20. Calgary is trending in the right direction and as Gaudreau gets surrounded by additional offensive support and as the Flames continue to be one of the top scoring teams in the NHL, I would expect him to crack the top 10 in the not-to-distant future and for sure he could be top five some day too. @DarrenWHaynes Does Hamilton have a negative impact on Widemans numbers, thus hurting any value at the trade deadline? Giordano for a full season and the addition of Dougie Hamilton will definitely cut into Dennis Wideman's ice time and opportunity. That could create a bit of a drag on Wideman's numbers from this year, which were career bests for goals (14) and points (56). However, there's a bright side too. There's a chance Wideman ends up playing alongside TJ Brodie in the Flames top four and in that scenario, Wideman's peripherals could improve playing alongside a rising star like Brodie so that could mitigate some of the drop-off offensively. Also, the closer he gets to the end of his expensive 5-year/$26.25 million contract -- he currently has two years remaining -- that will make him easier to move also. My hunch is a Wideman trade -- should it happen -- may not happen until next summer when Calgary will hope to have some defence prospects ready to step in and play. Yes, the Flames should offer that but only to hear Lou Lamoriello chuckle and then hang up the phone. I do not fathom why Toronto would want to make that deal. They're not close enough to contending this year in my eyes so why would the Leafs want to add two pending UFAs while giving up a goalie with upside and a first round pick that could end up being a top five pick or maybe even first overall via the lottery. Hudler definitely is a guy that would have good trade value so I like what you're thinking but the catch -- should Calgary explore that avenue -- will be finding the right situation and I just don't feel like it would be the Leafs. @DarrenWHaynes if you had to build a franchise around 1 current Flame (could be mgmt too), who is it and why? That's a great question because it involves a lot of considerations. Are you talking about the players at the ages they are at right now? If that was the case, I'd probably go with Bennett because he has such a long career ahead of him still. Plus, I see him turning into a superstar in the league as well as being captain material. As a centre, he would be the backbone of a new franchise for a very long time. If your question was more philosophical and it could be any player and they could be at whatever age you want, then I'd have to go with Giordano as the Flames have essentially just re-built the franchise around him and done so successfully, so he and all the qualities we're well familiar with would be a perfect starting point. Stick him on the blue-line and play him 25-30 minutes a night for the next decade and you can't go wrong. Building from the defence out is also a pretty good formula for success. @DarrenWHaynes is ferland a lock for opening roster? I think he is, for sure. Ferland is now waiver eligible so to be sent down to Stockton, he would have to be exposed on waivers to the 29 other NHL teams. The playoffs were certainly a small sample size but it would be more than a big enough sample size for some team -- heck, even Vancouver now that Kevin Bieksa has moved on -- would surely take a chance on a 'relevant' 23-year-old winger, who can be menacing physically, is a former 50-goal scorer in junior and was someone Bob Hartley lauded last year for his high hockey IQ. This isn't to say Ferland is a sure thing yet to have a long and successful NHL career, it's still too early to declare that, but he'll be on the Flames opening roster. @DarrenWHaynes Which Flames players are most likely playing in Stockton this year? This year there are a few players that could make their pro debut. Making the jump for sure will be RW Austin Carroll and D Kenney Morrison -- the latter playing 10 games on a try-out last year after his NCAA season concluded. D Keegan Kanzig and RW Hunter Smith are two big dudes both hoping to turn pro. Each could return to major junior for their overage season but I strongly suspect both will end up in Stockton. LW Morgan Klimchuk is another in that category although I'm less certain about his status. He's declared himself ready to head to that next level but time will tell if the Flames think that's the best place for him to continue his development. I feel there is still movement to come with the Flames big forward group but if not, a few bodies may end up back down. C Markus Granlund is a leading candidate if for no other reason that on my updated Flames roster breakdown (available here), he's the only one of 17 forwards that can be sent down without clearing waivers. Shore might be the next in line to be sent down although he might not slip through waivers. I'm 50/50 on whether he would be claimed although if they send him down at the time when all teams are getting down to their 23-man rosters, you might be able to slip him through. The biggest and most intriguing question mark is D Oliver Kylington. It's clear that Calgary's preferred next step for him would be to play in North America this season but assuming he does not make the Flames, that could only be possible if Calgary can negotiate him away from AIK in Sweden, who has Kylington under contract. If they can, it comes down to Stockton or Brandon, which holds his major junior rights after having taken him in the CHL import draft last month. While Kylington has played against men for parts of the last two seasons in Sweden, whether or not he has thrived is another question. He just turned 18 and if it was my decision, I'd send him to the Wheat Kings for a season to get him around his age group and let him thrive there under Kelly McCrimmon. Brandon is a solid organization and isn't that far away. You can bet if this happens, Calgary will still be keeping a close eye on his development. @DarrenWHaynes time warp: who would win in a best of 7 series - last season's flames of the flames of 1989? That 1989 Calgary Flames team was a special collection of talent. They didn't go 54-17-9 by accident. No disrespect to last year's team but they would get whooped. While Giordano-Brodie is not a bad answer to Al MacInnis and Gary Suter, Kris Russell and Wideman -- while more talented offensively than Jamie Macoun and Brad McCrimmon -- do not have nearly the same defensive cachet. Although the gap would narrow if the game was played in 2015 versus 1989 given the emphasis on skating in today's game. It's the depth up front of that 1989 team that would make the biggest difference. Terry Crisp's top nine included the likes of Doug Gilmour, Hakan Loob, Joe Mullen, Joe Nieuwendyk, Gary Roberts, Theoren Fleury, Joel Otto, Colin Patterson and Jiri Hrdina. Last year's team would have to get spectacular goaltending from Ramo or Hiller to keep them in the game and while they could maybe steal one game, I'd call a 4-1 series victory for the 1989 Flames. @DarrenWHaynes with top 6 forward packed? Is Colborne still a useful player? Isn't he too soft to play bottom 6? Joe Colborne is never going to be a wrecking ball on the ice like Ferland or Bouma but size doesn't have to be used only for that purpose. If Colborne can continue to fill-out his lanky frame and get stronger, he could become a very useful player in the bottom six. He has mentioned David Backes as someone he'd like to pattern his game off. Colborne continues to improve and while I'm not prepared yet to say he'll be a fixture in the NHL for years to come, there are certainly some alluring tools in the toolbox with him. He's got excellent hands and if he can use his size effectively to control the puck along the boards, win those important battles, and still rub guys out and up his physicality a little bit, there is plenty of potential there that I wouldn't be ready to give up on quite yet. @DarrenWHaynes many players surprised from the AHL last season. Which players without NHL experience become impact players next season? Last month in this story, I ranked from 1 to 10 the players that saw time in Adirondack last year that are most likely to graduate to the NHL this season. As you'll see, the top of the list is littered with guys with some NHL experience but not much. If you're talking about guys that could break through with absolutely no NHL experience, the two dark horses for me are winger Garnet Hathaway and d-man Ryan Culkin. A late bloomer cut out of the same fabric in many ways to Josh Jooris, Hathaway was on a minor league deal last year and for that reason flew under the radar of many yet at the end of the year, he had 19 goals and 36 points in his first pro season. I talked to AHL coach Ryan Huska about him at development camp and Huska could not stop gushing about how much he enjoyed having Hathaway on his team. Versatile player, who can play different roles, play physical but can score also, eager to learn, a real consummate pro. When you speak to Hathaway, you get why the team is high on his character also. Self-driven, determined and very engaging. I'll have more on Hathaway later this summer as I've got a feature in the works. It's a similar story with Culkin. Here's a guy that has really started to get himself noticed. Longtime NHL blue-liner Todd Gill was the assistant coach at Adirondack last year and at development camp, he talked about the increasingly important role Culkin took on over the course of the season to the point where he was a top pairing guy taking on the toughest opposition match-ups and was thriving when he had his season-ending wrist injury in February. Again with Culkin, look for more later this summer when I unveil a more in-depth piece. Getting back to the AHL graduate story, you'll see I did have David Wolf at No. 7. Whoops. With him re-signing recently in Hamburg in Germany, you can scratch him off the list. The modification I would make is to move Hathaway, Culkin and Arnold up one spot and add Patrick Sieloff at No. 10. @DarrenWHaynes where to do you envision Bennett playing this season, line and position? My prediction is Bennett plays left wing this season. With Monahan, Backlund and Matt Stajan locking up three centre spots, I think the Flames are interested to know if Granlund, Shore or Jooris could be candidates to play up the middle and I expect they'll get a chance to earn a fourth line centre spot during training camp. In that scenario, I see Bennett playing left wing with Backlund on the second line. Frolik would be my guess for the right winger. @darrenwhaynes entering their UFA years, do you expect the Flames to trade Wideman and Hudlersometime this year? I hope so. Wideman still has two years to go but it doesn't change the fact that his value right now -- coming off career highs in goals and points -- is probably as high as it's ever been. Also, with Hamilton's arrival, it will be harder for Wideman to repeat those numbers so this is the summer to sell high. The challenge is Hamilton was brought in to add depth to the blue-line. Trading away Wideman as a result leaves you back where you started, which is a top four injury away from potentially elevating Deryk Engelland to 18-20 minutes again. I suspect they hang on to Wideman for one more year or depending on how the season plays out and some of the newcomers on the blue-line fare in the AHL, maybe look at moving him at the trade deadline. Hudler is a tremendous fit for the Flames. His role with Gaudreau and Monahan both on the ice and off it has been beneficial for both of them and at the same time he's enjoyed his best years of his NHL career. However, the kind of money he's in line for (especially right now when extension conversations would happen, coming off the massive year he just had when he led the NHL in even-strength points), it's going to be very difficult for Calgary to be able to fit him in and where he'd be age-wise (32) when an extension would kick in, should also be a concern. The best time to move him would be this summer. Once you get into the season and he becomes an invaluable member of your top line again, if you're sitting there in second place in the Pacific, peddling Hudler at the trade deadline would become an awfully contentious deal to make. But that's also why trading him right now isn't as easy as you think either as Calgary looks like a legit playoff team right now after its busy off-season and subtracting No. 24 from the line-up would be a blow. @DarrenWHaynes Do you think Engelland's contract will eventually come to hurt them? It hasn't hurt them so far. While his signing last summer was for more money than most could comprehend, the Flames were far away from the salary cap last season so dollars were a non-factor. Plus, they were desperately looking to address a couple needs -- getting bigger and getting deeper on the blue-line. I don't see the contract being a factor this season either as most importantly, there is still a lack of NHL-ready blue-line depth in the organization and Engelland demonstrated last year that he is a serviceable third pairing guy -- with an ability to play more minutes in a pinch -- that also provides protection for your smaller, skilled players when you get into a game or a playoff series that turns into a war. However, fast forward the final year of his three-year deal in 2016-17 when you're tight up against the salary cap and a couple of Nakladal, Morrison, Tyler Wotherspoon, Culkin and maybe even Kylington are ideally ready for full-time NHL employment -- and at a more palatable price point than Engelland. At that time, Calgary would definitely want to be paying far less for Engelland in a 6/7 type of role. Come that time, there's a good chance his contract is going to sting. However, without him stepping up into the top four and turning in some yeoman's work last year, the Flames likely don't make the playoffs at all so sometimes you have to take the bad with the good. @DarrenWHaynes Goals for Johnny Hockeyseed this coming season? After scoring 24 goals as a rookie last year, I predict Gaudreau makes a modest improvement to 27 goals this season. @DarrenWHaynes What are going to be the 5 keys to making the playoffs in 15/16? Get Good Goaltending - Whichever pairing they go with, they must be as good as last year if not better. Stay Healthy - Losing one or two core pieces like Giordano/Brodie/Hamilton or Monahan/Gaudreau/Hudler for an extended period would leave a big void. Maintain Work Ethic - This was key last year. Calgary's superior fitness and never-say-die attitude contributed to its strong third periods and all those comeback victories, which helped get them into the post-season. Play Well Within Own Division - Calgary doesn't come close to making the playoffs last year if not for its 22-6-1 record against the Pacific. With the Central looking very strong, path to the playoffs is likely through a top three finish in their division and that could hinge on how well they fare against their Pacific rivals. Play Better in the First Period - Calgary isn't going to be able to come back in games this year with the frequency it did last year. It just won't happen. So, make it not need to happen by having better starts, something that was a chronic issue last year. @DarrenWHaynes do you think Flames is on Franson? With Giordano, Brodie and Hamilton all likely here long term, Wideman for potentially a couple more years, I don't think the Flames can afford to bring in Cody Franson for long term also and that's surely the type of deal he's looking for. He'd be a nice addition to the line-up, for sure, as he would be to any NHL team's line-up, but that's tying up too much money on the back end in my opinion. I think Calgary wants to see if Morrison or Nakladal could be shorter term solutions or if Wotherspoon or Culkin might be ready soon. With Andersson and Kylington taken in the second round of the draft on the way, those are two more potential internal solutions being developed and all of these alternative solutions would keep money way more in the bank for spending on core players than paying a bunch of dough to Franson. Breaking Down the Flames 2015-16 Roster: How Things Look After July 26 - I've updated this roster breakdown to include the recent RFA signings of Josh Jooris and Paul Byron. How close are the Flames to the cap? Well, come and find out. Eight From 80 Feet: Eight Perspectives on the Lance Bouma Contract - It was a deal that was celebrated by many yet also soundly criticized by others. To help evaluate it, I dig into the contract and viewed it from a number of different perspectives. The Story of How Kylington Became a Flame and What Comes Next - A look behind the curtain at how the Flames ended up chasing Kylington on draft day -- and getting him -- and now that he's signed, a look at what his options are moving forward. Eight From 80 Feet: Eight Reflections on Development Camp - Looking back on the week that was development camp including what we learned, what we saw and some comments from GM Brad Treliving as he spoke at its conclusion. It's not unusual for the Flames to be the hot topic in Calgary. It's that way every day from September through the middle of April when the hockey season is on. Or make that right into mid-May this year. It's also not unusual for the Flames to take a spin as the city's hot topic in the summer. The draft always creates quite a stir, as does July 1 and free agency. Then, of course, you have the excitement around the prospects coming to town for development camp in early July. But once you get into late July, usually hockey has finally hit the back burner. People turn their focus to cursing at the Blue Jays, catching up on the honey-do list at home -- all those household projects that piled up during the winter, hitting the golf course, doing some camping and just enjoying Calgary's short summer. Well, all hell broke loose on the hockey front today. Less than 24 hours before an arbitrator's decision would have come in, the Flames chose not to wait and see but instead sign Lance Bouma to a 3-year/$6.6 million contract -- a cap hit of a contentious $2.2 million annually. 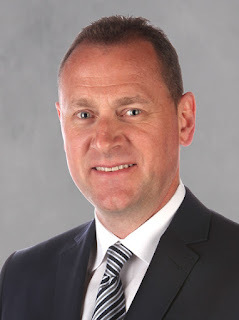 "Ultimately we wanted Lance with the Calgary Flames," said assistant general manager Brad Pascall on Thursday, filling in for GM Brad Treliving, who was unavailable due to a speaking engagement. "He's a multi-dimensional player, who we like, who the coaches like and who fits our DNA." When the news broke, some fans loved it, other fans hated it. Fist pumps on one side, broken fists on the other. Man, the passion in this city around this deal was mind-blowing. Emotional takes, angry shots fired at those with an opposing view. People were fired up big time. It divided the city and resulted in the most polarizing conversation topic I've seen in quite some time -- or at least since the Sven Baertschi trade, anyway. In this special edition of Eight From 80 Feet, I thought I'd chime in with my own eight thoughts on the controversial signing. My mission here isn't to choose sides, but rather provide some alternate perspectives or food for thought. Hope you're hungry. The most common sentiment after the contract was announced was, "I would have been way happier with $1.75 million per season." Of course you would have. The Flames would have preferred that too. However, that was never, ever going to happen. Ultimately, Bouma was in line for an arbitration ruling of $2 million annually, give or take. We know that because that's how NHL arbitration works. With Bouma requesting $2.5 million and the Flames offering $1.5 million, and with arbitrators keen to stay in the good books of both the NHLPA and the teams (arbitration cases pay well), they inevitably arrive at a figure that splits the difference. Sure, a staggered salary increase of $1.7 million this year, $1.9 next year and $2.1 in year three would have been more budget-friendly for a team that is closing in on the salary cap, but that's not what the market price was. I'd love to pay less for gas too, but unfortunately I have to pay what the price at the pump is when it's time to fill up. NHL salary prices fluctuate throughout a year. The best example is free agency where prices are always more -- like gas prices before a long weekend. The Flames would have liked to sign Jonas Hiller for an average salary of $3.5 million last summer, but to get him, the price was $4.5 million. Same thing with Bouma. Based on his entire career, $1.7 or $1.8 million is probably the more fitting figure but that wasn't an option. Are you better off with Bouma for a little bit extra money or without him? That's the mindset you need to have. Spoiler Alert: Nobody knows how many goals Bouma will score next season. Nobody. Will he score 16 goals again? I doubt it. Will he revert to scoring five goals like he did the year prior in his first full NHL season? I doubt it. My guess is he probably settles in at round 10 goals but again, you just never know. Plus, in the off-season, he diligently works at his offensive game with shooting and skills coach Tim Turk. Bouma's improvement was noted by Turk in this Calgary Sun article last February. "At the end of the day, he had 16 goals and you can't take those away from him. Those are tangible results," Pascall said. "Lance proved with his career high in goals and points that he had taken a step in that area. We hope that continues but at the same time, Lance offers a number of intangibles other than scoring." None of this comes with any assurances he'll ever score 16 again but there's enough good things going on here that it seems unlikely last year was merely his Tim Jackman year as one fan suggested, referring to when Jackman -- at age 30 -- scored 10 goals in 2010-11, then scored only once the following season. It's also been suggested that Bouma only scored that many goals because he was playing alongside Mikael Backlund. OK, then play him alongside Backlund. Sounds like two-thirds of a pretty decent third line if you move Bennett to centre behind Sean Monahan. I know that predictive modeling would suggest that if a player wasn't a huge scorer in junior (Bouma was on pace for a career-best 18 goals in his final year with Vancouver) he won't be in the NHL either. I'm sure that's frequently the case but if you're wondering if guys can bloom later in their career, the guy wearing No. 5 in the Flames dressing room is proof of that. Also not to be forgotten is Bouma lost almost his entire third pro season due to a serious knee injury. Losing a full year at age 22 is going to throw a wrench into anyone's development. I'm always looking for an opportunity to drop an 80s music reference and when it comes to Bouma, Cyndi Lauper come to mind because it seems money really has changed everything. Last year at the thrifty wage of $775,000, there was a whole lot for fans to like. There he was dressing up in a sumo suit with Brian McGrattan to crash Matt Stajan's nationally televised Hockey Night in Canada post-game interview. Or, there he is hamming it up on camera as the guy in charge of cooking and putting food in the guts of his roommate Sean Monahan. Meanwhile on the ice, he's out there diving in front of pucks like he's protecting the president. Skate, arm, leg, head, whatever he can stick out to try and block a puck, he does. Of course he's got inflated blocked shots totals, he's not giving it the ol' flamingo like many, he's hurtling himself in front of pucks while with many others, their only 'blocked shots' come when the puck accidentally hits them. Bouma also plays an energizing physical game. Fans love seeing him fly in on the forecheck and staple someone to the end boards. Sure, he can be a bit reckless, but it's part of the fun. Everything Micheal Ferland was doing to be effective against Vancouver, that's the impact Bouma could have brought too that series had he not been injured. Then there was his unexpected offence and clutch offence. Twelve of his 16 goals last season came in the third period with four of them being game-winning goals. His goals were big goals. His goals were celebrated goals. Add in he was Calgary's most counted on penalty killing forward and you would think Bouma is the type of blue-collar player that fans would adore and stick by thick and thin. A friendly, unassuming, farm kid from Provost Alberta. But alas, the burden of money. Now the charm is gone, the skeptics are out, and the expectations have risen. Fans expect more although given how grossly underpaid he was last year -- he made just $25,000 more than Devin Setoguchi, you'd think he may have banked some goodwill. However, if today is any indication, it seems he has not. At least with some. It's been stated ad nauseum that last year was an aberration, that his shooting percentage is unsustainable, that he's never going to score that many goals again. That may be correct but nor should that be anyone's realistic expectation either. Excluding players on entry level contracts, there are 26 NHL players under contract for this season that scored 15 or 16 even-strength goals last year. Remove Bouma and the average salary of the other 25 is $4.34 million. There's a notion that Bouma will have to put up another 16 goals to validate his contract. I'm not buying it. If he puts up another 16 goals, he'd be a flat-out filthy steal at just $2.2 million. Add in the other areas in which Bouma provides value to the team (detailed in this earlier post) and if Bouma scores 10 goals, you're getting what you paid for. He's certainly not going to be a bargain any longer like the ridiculous bang-for-the buck Calgary got last year, but he's not hurting your team either. "First off, he does the little things that are asked of him like blocking shots, making hits, and making people aware of when he's on the ice," said Pascall. "He plays on our penalty kill, he's a solid defensive zone player. When you build a team, you're looking for guys that can contribute in all those areas and we feel Lance fits what we're trying to build and we're happy to have him with us for the next three years." The NHL is faster than it’s ever been before and what has also evolved is a need for a team to be able to roll four lines. Listening to Treliving speak, he frequently refers to his forward breakdown as a top nine and a functional fourth line. Regardless of how you slice and dice it, you need a dozen good players in your line-up every night. While you’re going to need to pay your young stars like Sean Monahan, Johnny Gaudreau, and Sam Bennett and pay them a lot, you also need to surround them with players that can fill roles and be solid contributors. If your plan is to fill out the bottom six forwards with a blend of guys on their entry level contracts and/or cheap unwanted scraps from free agency that others didn't want, that's not a very good plan. For one, while Bennett and Monahan made big impacts while on their ELC, that's far from the norm. Those guys were top draft picks. Typically guys aren't ready to make an NHL impact until they're off their ELCs and are already in the $1 million dollar range and up. Bouma, a sure thing at $2.2 million, should not throw off the team budget. You can't have six $2 million players in your bottom six, but you should have room for at least a couple. Similarly, trying to find cheap free agents to fill out the roster is no easy task either. If you can sign a veteran NHLer for $1.5 million in free agency, he's going to have warts. You'll strike out more often than you'll strike gold when you resort to bargain shopping. "When you're playing within a salary cap system, you have to find a way to fit everybody in and we're pleased with the deal we have today," Pascall said. "You need players like Lance Bouma. We believe Lance can contribute to a winning team, that he's a good fit for us both from a budget standpoint but more importantly, from an on and off-ice standpoint." Here's a point that people overlook. Let's not forget that Calgary didn't need to be in this position. Last summer, Bouma would have gladly accepted a multi-year contract and this whole saga never would have happened. To refresh your memory, it wasn't until late August when Bouma finally settled for the so-called 'show me' contract of 1 year for $775,000. Why did it take so long to get a deal done last summer? He wanted a better deal. A little term would have been nice. Players hate one-year deals. It's safe to assume if the Flames had offered up a 2 year/$2.2 million deal, that he would have been all over it and now he'd be heading into this season with a $1.1-million cap hit. Heck, it may have even been less than that. Instead, Bouma goes out, erupts for 16 goals and the Flames have to ante up as a result. It's all part of the risk/reward decision-making that goes with being the guy in the GM chair. That said, lament all you want about Bouma's salary coming up, the Flames got one helluva deal financially last year. When I'm grocery shopping, I love bargains too but sometimes you just have to buy things that are regular price -- like a carton of milk -- because you need milk. So while you could say this one backfired on the Flames, they did reap the benefits last year. Plus, more often than not, the cautious approach with player contracts in regards to term is usually the responsible approach and ends up being the smart play so it's tough to be critical the rare occasion where it doesn't work out. 7. What if the Third Year Gamble Pays Off? Just for the sake of argument, let's say Treliving suspected a two-year, $4.2 million ruling was coming in arbitration (e.g. $2M in 2015-16, $2.2M in 2016-17). It's a contract that would have taken Bouma to UFA status. What Treliving has done with this deal is bought out one of Bouma's UFA years at a cost of $2.4 million. Sure, it could backfire and many are thinking it will. But I really don't see it as that risky or reckless of a gamble. If you consider the league salary cap will keep going up and with that, so will average NHL salaries, I'd say there's more than a decent chance that a 27-year-old Bouma would command more than $2.4 million on the open market come July 1, 2017. Teams covet size, especially physical players that can also contribute in other facets. Even if Bouma musters only 8 to 10 goals over each of the next couple years, I bet he can still fetch over $2.5 million in free agency. Heck, Derek Dorsett just signed a four-year deal worth $2.65 million annually. Even Raffi Torres is making $2 million. Even if Bouma's goal scoring dries up and he becomes a $1.5 million player and nothing more, three years term is not going to doom this hockey club. This contract will never be an albatross that prevents them from winning the Cup. People bring up Brandon Prust and Bryan Bickell as comparable players that got over paid. But there's a difference, both of those were four years in term and both were for higher AAV -- Prust at $2.5 million and Bickell at $4 million. Term is what kills teams and four years versus three is more significant than it sounds. Treliving was already in pretty good stead with the Flames fan base. After all, he got out early and got TJ Brodie inked to an economical five-year extension. He extended coach Bob Hartley before the season was up -- and before the Jack Adams landed on his mantel. He got a second round pick for disgruntled Sven Baertschi, who declared he wasn't going to re-sign with Calgary anyway. Then there was the heist with the Washington Capitals as Curtis Glencross was dealt for a second and a third round draft pick. Glencross ending up a frequent healthy scratch with the Capitals. Of course, then there's his team making the playoffs for the first time in six years and reaching the second round for only the second time since 1989. The streak continued this summer. Getting Mikael Backlund re-signed for below market value. Trading for Dougie Hamilton the day of the draft -- then later signing him for cheaper than he reportedly had been asking for. Trading up to grab Oliver Kylington at the draft was viewed as yet another coup. Then on July 1, Treliving inked arguably the most sought-after player on the free agent market in Michael Frolik. Treliving was the talk of the town. Hell, he was the talk of the league. The common fans loved him. The advanced stats community had embraced him. He has been the king of the castle in Flames nation for several months. But today -- in an inferno -- that castle burned down. The same guy that was so smart, so shrewd, so savvy right up until yesterday, suddenly became dumb as a fence post over night in signing Bouma to that outrageous contract. Hey Brad, did they warn you that the old fan base can be rather fickle? Welcome to a hockey market. Do you miss Arizona? Maybe a tiny bit? One would have thought he would have built up some trust, a little bit of slack. Nope, it seems not. If this whole exercise has taught us anything, you may want to book the day off work the day that Mark Giordano signs because man, we're merely talking about Bouma today. Giordano's contract is going to be for three or four times that salary and the outlash will be at least that much more magnified. I'm not saying Bouma is interchangeable with any of those guys. I'm not suggesting that at all. All three I'd take over Bouma in a heartbeat (and they get paid more, by no coincidence). What I'm saying is for a low maintenance guy with coveted size, who plays a punishing, physical brand of hockey, who also plays a big role on the penalty kill and can chip in some offence, those multi-functional players aren't nearly as plentiful around the league as you might think. Also, if you believe in such a thing and I do, Bouma strikes me as a player whose value would rise in the post-season. He'd be one of those guys that becomes more noticeable as the intensity ratchets up and the physicality increases. The bottom line is the deal is done. It's official. Debate it all you want, but nothing is changing now. Next, we sit back and see if Bouma is embraced for all the admirable qualities he does have -- despite his blemishes -- or if that segment of fans upset today will harbour bitterness because he signed the deal he did and choose to dwell on those imperfections. It would be a shame if it's the latter. But that's not up to me.